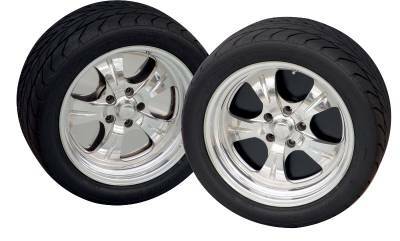 5-lug 22" SS Wheelplates set- 4.5", 4.75" & 5" on 5 lug pattern. That’s right, you can paint them to match the color of your ride. Wheelplates areavailable in wheel diameters from 14” to 22” with bolt circles from 4.5", 4.7" and 5". Wheelplates are made from 18 gauge black powdercoated steel and 20 gauge polishedSTAINLESS steel. They are heavy enough not to bend or dent and are CNC laser cut fora perfect balance.